Performance improvements (Euronews live stream). Thanks for your support and useful comments! Enjoy live streaming videos (live TV*) and Video on Demand: international and european top stories, headlines and various programmes on Economy, Finance, Sports, Politics, Culture and Sci-Tech! With this latest Apple Watch version, get news in Europe and the World delivered directly to your wrist. 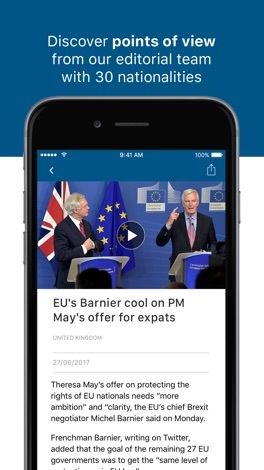 Euronews provides its audience with the latest breaking news from Europe and the rest of the world to help you navigate in the globalised media news universe. Get all the latest news from the world of Politics, Economy, Business, Sports, Culture etc. Over 600 journalists work hard on a daily basis to make sure that you will be reading the most factual and discussed stories. Thanks to our VOD system, gain access to hundreds of videos in over 25 categories including the 360° videos to dive into the POV experience. 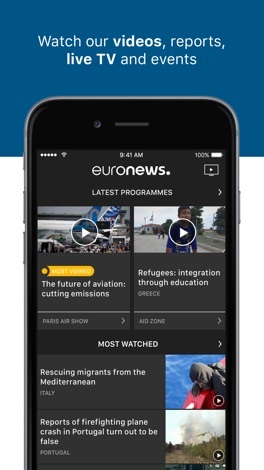 Watch the Euronews TV channel* and minimize the video to continue browsing through the app at your convenience. Never miss a single piece of information ever again with news alerts directly on your phone. Receive helpful local and international headlines with linked articles via push notifications. Numerous programmes and reports are available within the app to broaden your horizons on such subjects as Economy, Politics, Finance, Sports, Science, High-Tech, Culture, Cinema, Travel etc. with numerous videos and clips to stream. Discover the famous and unique 'No Comment' programme that allows you to watch videos and clips with no commentary and form your own personal opinion on the matter. Euronews is currently available in 12 languages with each of the articles covered by one of the 600 journalists of over 30 nationalities, who are here to provide you with rich content every day. Each language stands for a distinctive European outlook on the same event. Lost? 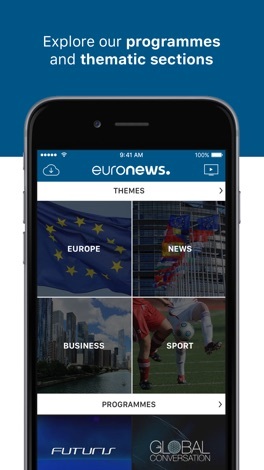 Read our TUTORIAL to read all about the features of the brand new Euronews app. 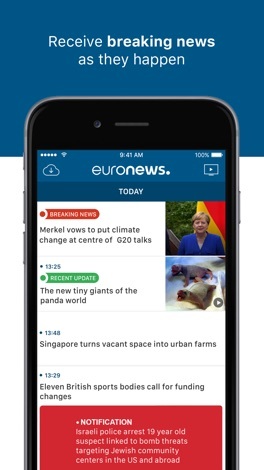 Euronews is the most watched news channel in Europe. We cover world news from a European perspective, since 1993. With 600 journalists and correspondents of more than 30 nationalities, Euronews is available 24/7 in 12 language editions. 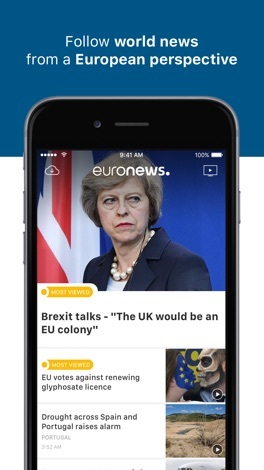 A truly independent media hub, Euronews offers a unique and diverse perspective on news, favoring facts and analysis over emotions. We reach 420 million homes in 161 countries and are available across all platforms (web, mobile, connected TVs, radio, YouTube, Google Glass, Flipboard…), as well as on board airlines, cruise lines and in hotels. * Unavailable in the USA and in Canada due to distribution restrictions. Available in English only on Arabic, Persian and Turkish editions.